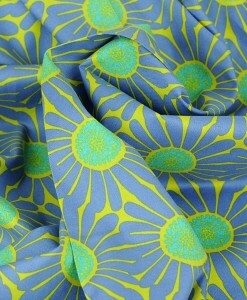 We love talented Saffron Craig’s collection, Banksia Bloom, which pays homage to her beloved Australia’s natural beauty. 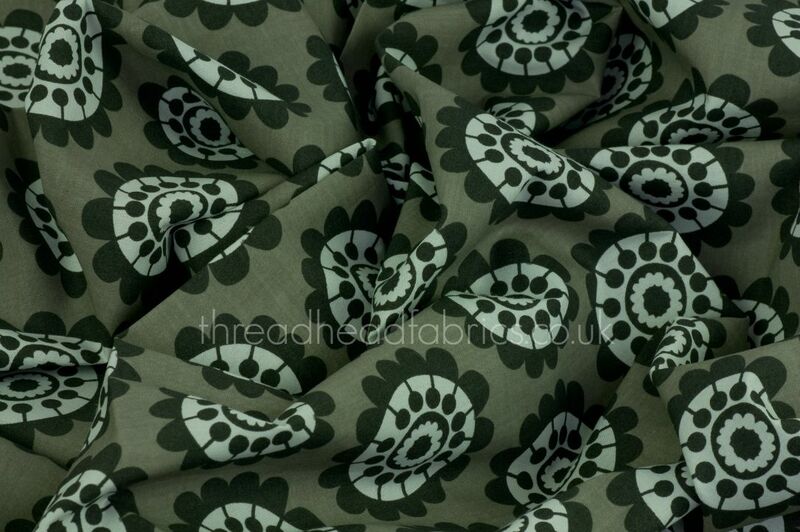 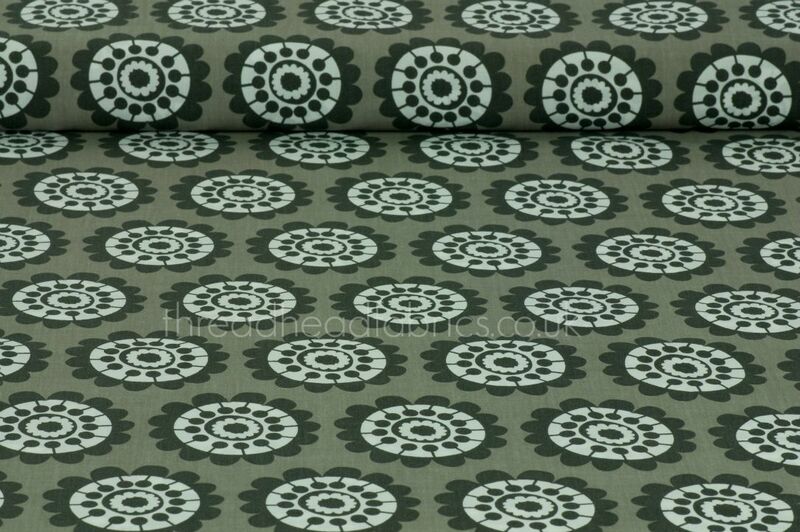 Gum Flower is a bold, stylised take on gum flowers in dark grey and white set on a lighter khaki grey background. 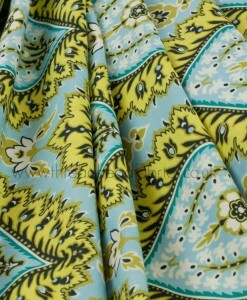 It’s very modern and would make an amazing skirt or to use as a part of a quilt. 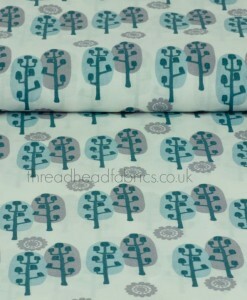 Imagine the beautiful cushions to to be made with this! 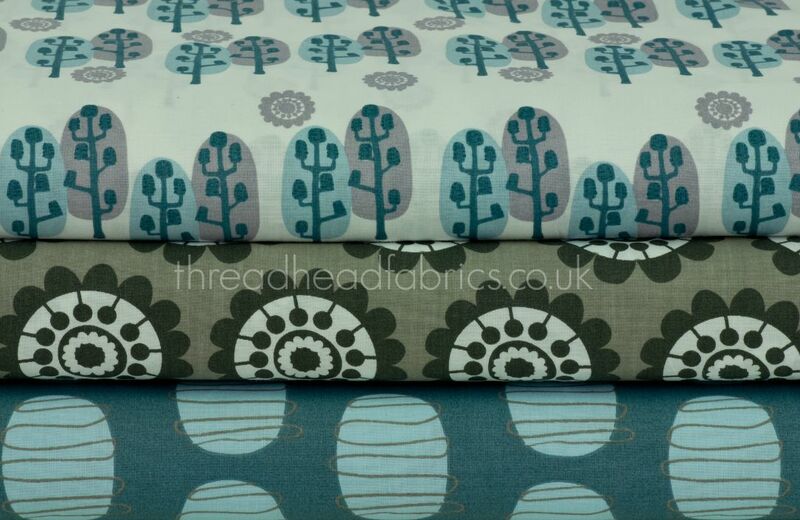 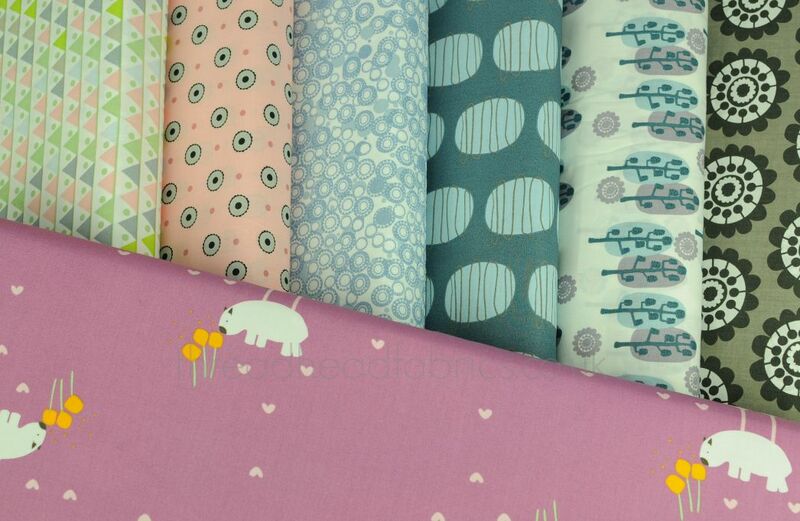 This soft, quality GOTS (Global Organic Textile Standard) certified organic cotton will make a statement, but it’s subtle tones will compliment both light and brighter colours. 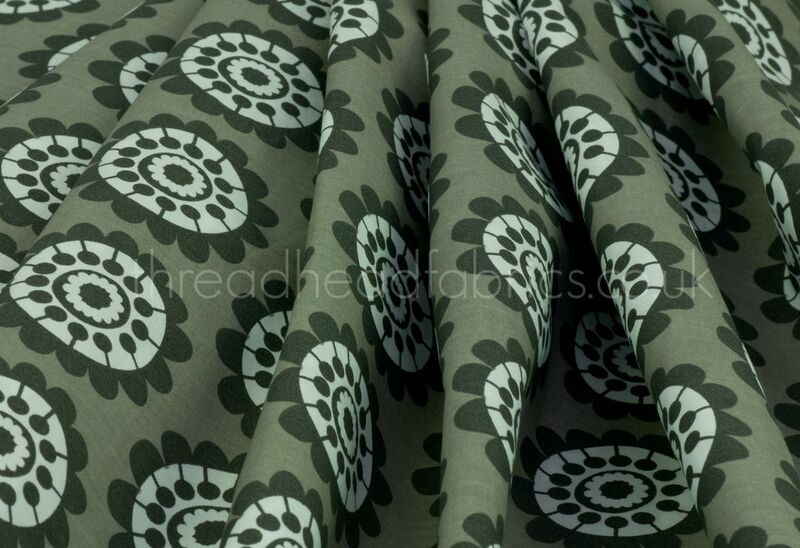 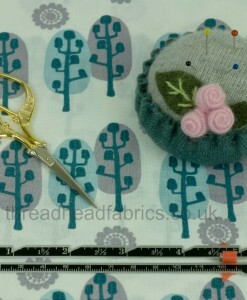 Search no further fellow Thread Heads if you are on a trek to find a bold abstract floral design for your next sewing project! 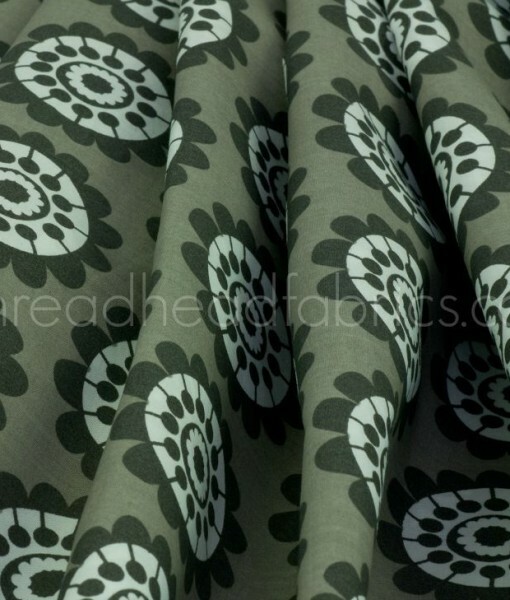 This Gum Flower print is so gorgeous in season spanning, colour-coordinates-with-just-about-everything, bang on trend grey and white! 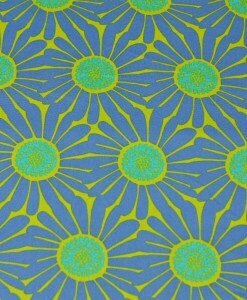 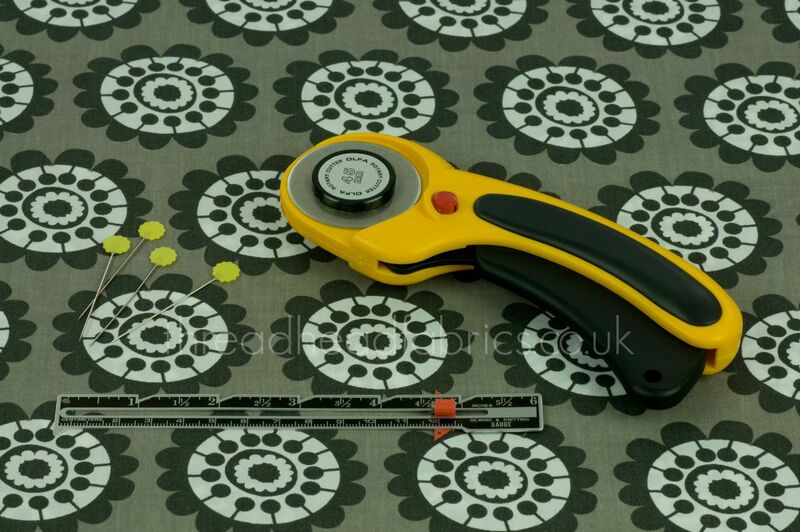 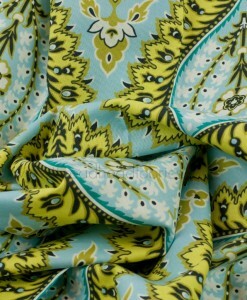 The neutral tones mean this print can be paired with your brightest fabric to create something truly special!